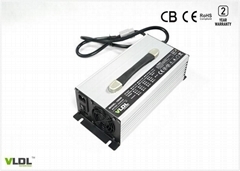 We have three branch companies: Danl New Energy Co., Limited (Hong Kong) Guangzhou Danl Technology Co., LTD Guangzhou Yunyang Electric Technology Co., LTD 15 years experience of designing and manufacturing switching-mode technology battery chargers. 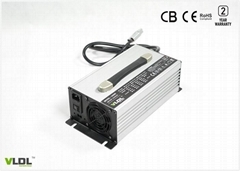 Main Products Classified By Battery Type: Lithium Battery Chargers For LiFePO4, Li-ion, Li-polymer, LiMOn2 Batteries. 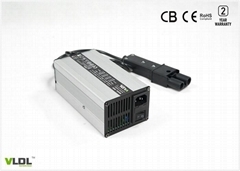 Lead-Acid Battery Chargers For SLA, Deep cycle, Silicon and AGM Batteries. Main Products Classified By EV Type: E-Tool Battery Charger, E-Bike Battery Charger, E-Skateboard Battery Charger, E-Scooter Battery Charger, E-Motorcycle Battery Charger, E-Lawnmower Battery Charger, E-Golfcart Battery Charger, E-Floor Sweeper Battery Charger, AGV Battery Charger, E-Forklift Battery Charger, E-Car Battery Charger. 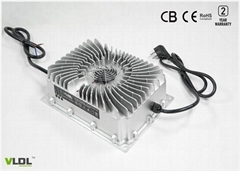 Battery Charger Main Output Power: 50W, 60W, 80W, 90W, 120W, 180W, 240W, 360W, 600W, 900W, 1000W, 1200W, 1500W, 2000W, 2500W. Output Voltage & Current: 4.2V, 6V, 12V, 24V, 36V, 48V, 60V, 72V, 84V, 96V...188V with various charging currents from 0.5 amps to 100 amps.